This hot spring is on the hill where you can enjoy a magnificent location. Especially in the night, the beautiful night views of Maebashi, Takasaki and Shibukawa spread like a panorama. An open-air bath is also popular. Takasaki station is the hub station in Gunma prefecture. There are many hotel, restaurant and shops for souvenirs. A good thing is convenient to access from Tokyo. 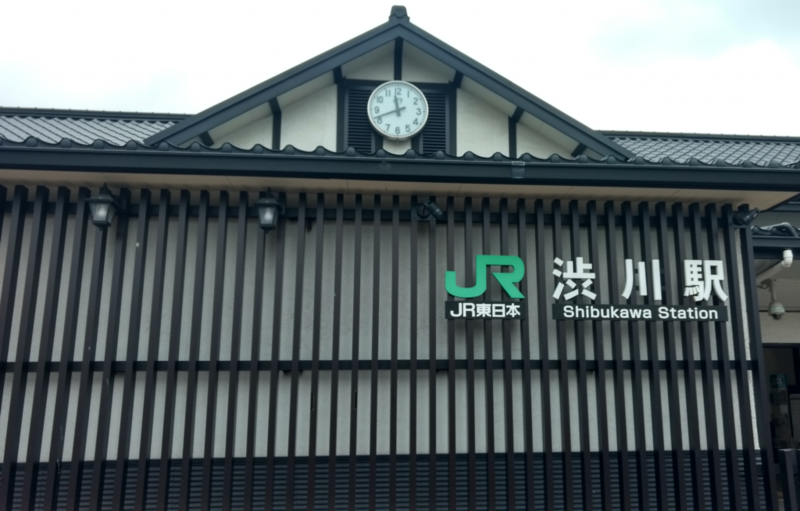 It takes 50 minutes by a bullet train (shinkansen) to Takasaki station from Tokyo station. Let’s start to trip to “Bandounoyu” from Takasaki station. 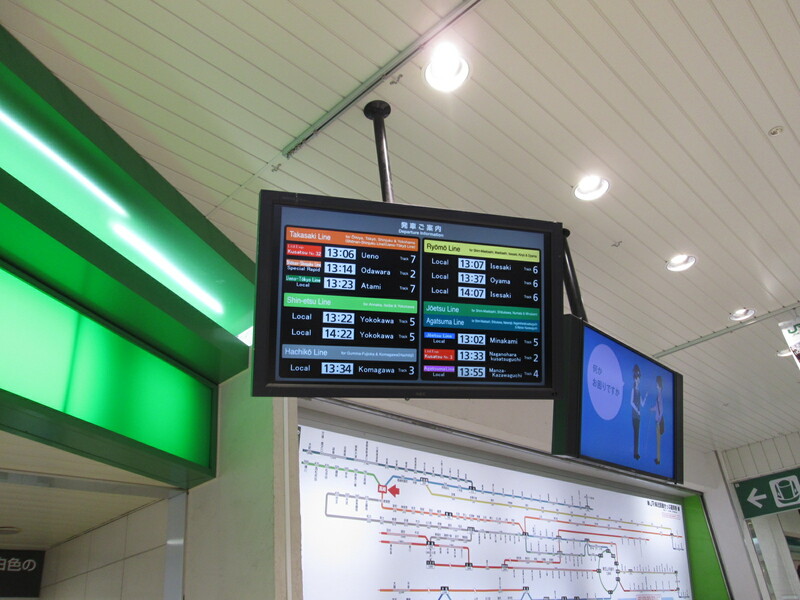 which platform you should be with below monitor near ticket gate. 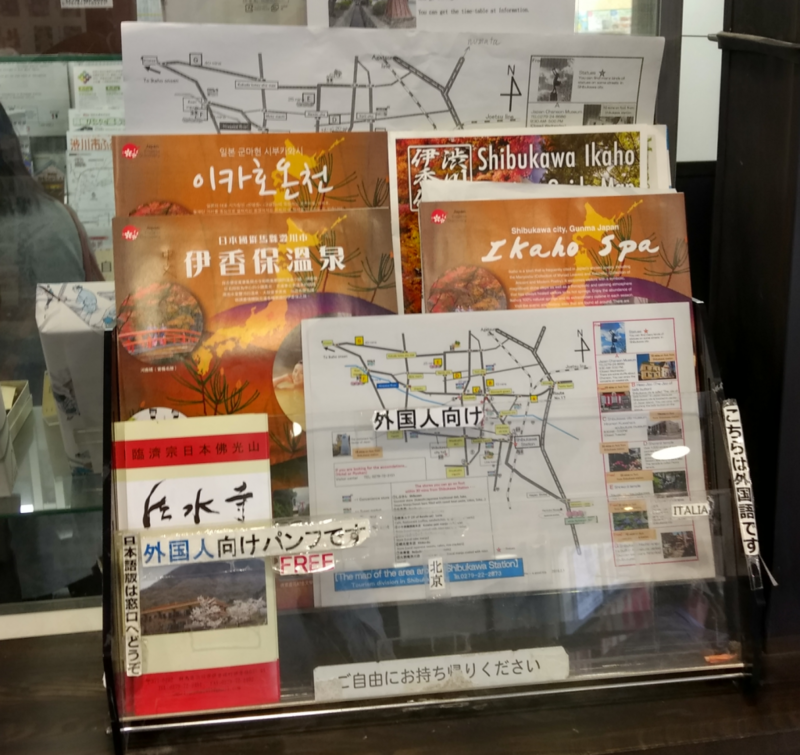 After 25 minutes taking, you will reach Shibukawa station and there is an English brochure for sightseeing around Shibukawa city. The Next step is taking a taxi to get to “bandounoyu”. Many taxies wait in front of the station so don’t worry about calling it. However, it is difficult to understand any English for the driver. If it doesn’t work show the driver below. After 15 minutes, here you come. 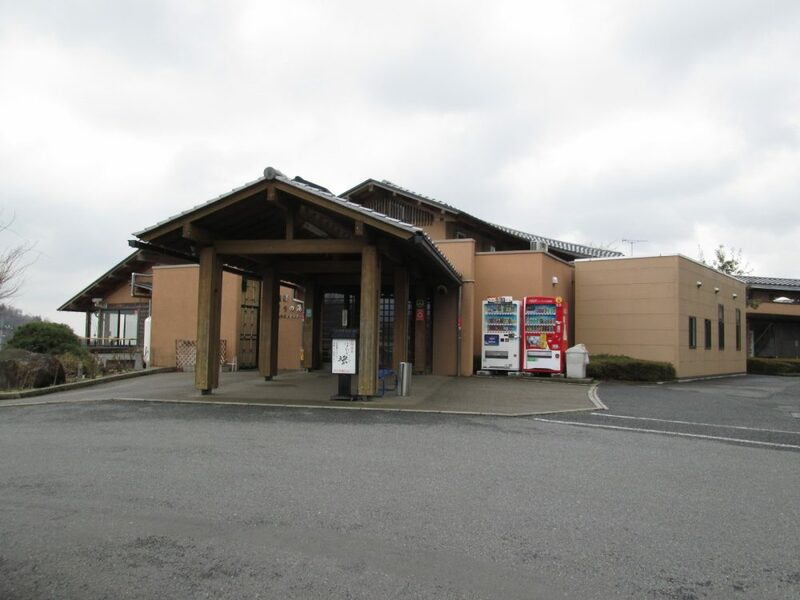 This facility was built by Shibukawa city office and the private company has been outsourced. The city office wanted the owner of private company to accept tattooed people though the owner already decided so because he wanted to protect all of the human rights. We always welcome everyone. Please keep good manners so that you will make friends while bathing.